Celebration of Life Services for Charles M. “Charlie” Hoag, 80, Lawrence, KS, will be held at 1:30 p.m. Tuesday, March 13, 2012 at First Christian Church in Lawrence, KS. Graveside services will follow at Memorial Park Cemetery in Lawrence. Rev. David Rivers will be the officiant. Charlie passed on Thursday, March 8, 2012 at Kansas University Medical Center, Kansas City, KS. He was born on July 19, 1931 in Guthrie, OK, the son of John Gerald and Mary Davis Hoag. 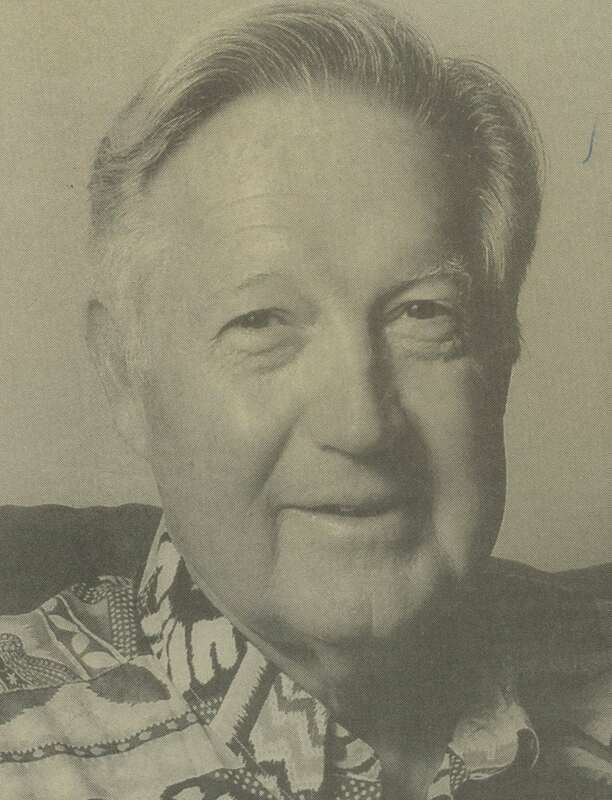 He was a graduate of the University of Kansas in 1953. While at KU, he was a three-sport letterman in basketball, football, and track. He was a member of the KU basketball and football teams and was a Gold Medalist in basketball for the US at the 1952 Olympics in Helsinki, Finland. He was a US Air Force veteran. Charlie was a retired insurance agent for the Equitable Life Insurance Company. Initially, he worked in Chicago, IL and then later started and operated an Equitable agency in Topeka, KS for many years. He was married to Donna Carter, the mother of their four children, and later divorced. Then married Salli Johnson Mathes who preceded him in death in 1994. Survivors include one son, Chuck Hoag, and wife, Lisa, Lawrence, KS; three daughters, Cheryl Hoag Gasiewski and husband, Rick of La Quinta, CA, Karen Hoag Kosbab and husband, Dave, of Overland Park, KS, Deanna Hoag Chadick of Overland Park, KS; and a sister, Susie Hoag Searles, of Palm Harbor, FL. Survivors also include nine grandchildren, Charlie Hoag, Taylor Hoag, Chase Hoag, Austin Hoag, Courtney Hoag, Koby Chadick, Hannah Chadick, Ellie Chadick and Sam Chadick. The family will casually greet friends in KU spirit wear from 6:30 – 8:30 p.m. Monday at the Warren-McElwain Mortuary in Lawrence. The family suggests memorials in his name to the Williams Educational Fund c/o the University of Kansas Athletic Department or to the K.U. Endowment Association for the Kansas University Medical Center and may be sent in care of the mortuary.